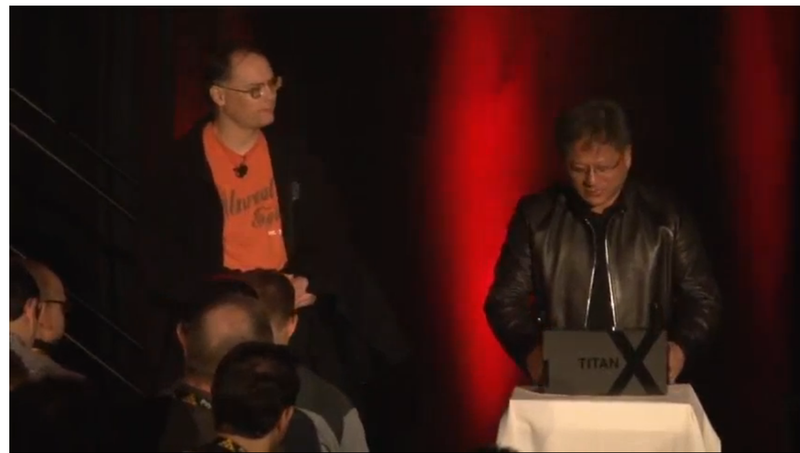 Nvidia chief executive Jen-Hsun Huang strolled on stage at a Game Developer Conference presentation from Epic Games, casually announced the new flagship GeForce Titan X graphics card, autographed it, and left. After spending the better part of two hours launching its Nvidia Shield gaming set-top box/console on Tuesday night, Huang took everyone by surprise when he launched the Titan X on Wednesday morning. “We have launched the most advanced GPU ever but and [given] the first one to Tim Sweeney,” the founder of Epic Games, Huang said on stage. After announcing the Titan X and some of its specs, Huang autographed the massive GPU module with a flourish—“To Tim, with love, Jen-Hsun” waved goodbye, and left. The Titan X is apparently anything but vaporware; Huang said that it “will power GDC 2015,” and that showgoers would see “some amazing demonstrations this week”. “I cherish the hardware and of course we’ll see what it can do,” Sweeney said. So what’s inside the Titan X? Eight billion transistors, making it the “most advanced GPU the world has ever seen,” Huang said. It will contain a massive 12GB frame buffer. And that’s about it: Huang didn’t reveal more details, and Nvidia’s official blog and press releases haven't mentioned it yet. 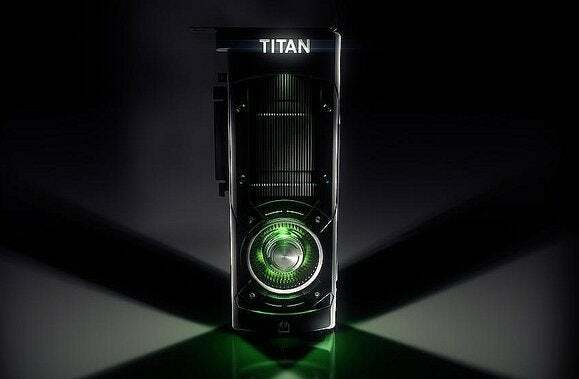 Given what Huang said about it, however, we can assume that it’s more powerful than the GeForce Titan Z, a $3,000 graphics card which Nvidia launched last March. That card included 5,760 CUDA cores with two Kepler cores inside of it, 12GB of memory, and 8 teraflops of computing power. Since the GPU has the same amount of memory inside, it’s likely that there are more cores. It’s also not clear what GPU is at the heart of the Titan X; Nvidia is preparing its next-gen Pascal processor, but that’s not due until 2016, Huang said at the time. More details about the new GeForce Titan X will be shared at Nvidia’s GPU Technology Conference on March 17, a spokesman for the company said. He declined to comment further. Why this matters: Although Nvidia still makes the bulk of its income from the PC, enterprise products command huge premiums. Nvidia would like to make products like its Iray VCA, a $50,000 virtual computing appliance for rendering images using modeled photons, as the tool for CAD and CGI specialists to fabricate their renderings. What's really interesting is that we should be able to see this on the show floor at the Game Developer Conference this week.